Microsoft has dropped a strong hint that it will be offering Xbox Live integration into its Windows Mobile 7 platform through a job listing. The Redmond-based firm has long been rumoured to offer cross platform integration on the new Windows Mobile 7 OS, but has yet to confirm how it will work or which form this will take. "We need a Principle Program Manager who can help drive the platform and bring Xbox LIVE enabled games to Windows Mobile. This person will focus specifically on what makes gaming experiences 'LIVE Enabled' through aspects such as avatar integration, social interactions, and multi-screen experiences," burbled the ad (which has apparently already been filled). This means that its likely that the avatars and gaming experience offered on the Xbox Live platform will be ported over to Windows Mobile 7 devices, raising the exciting proposition of PS3/PSP-style integration on a range of Microsoft devices. Either way, gaming is going to be a key part of the WinMo 7 line up, with another job listing looking for a gamer who "knows what it means to develop high quality software in a challenging, complex eco-system". 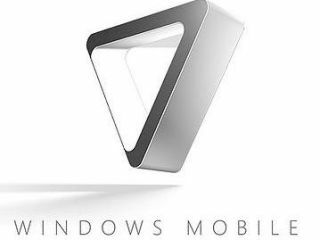 The same person will "report to the Gaming Test Lead in the Windows Mobile Entertainment team and have the opportunity to make a critical impact the next release of Windows Mobile," so it sounds like Microsoft is making a big push for gaming on the next iteration of the WinMo platform.